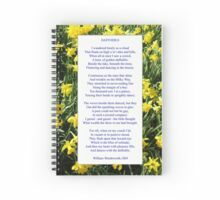 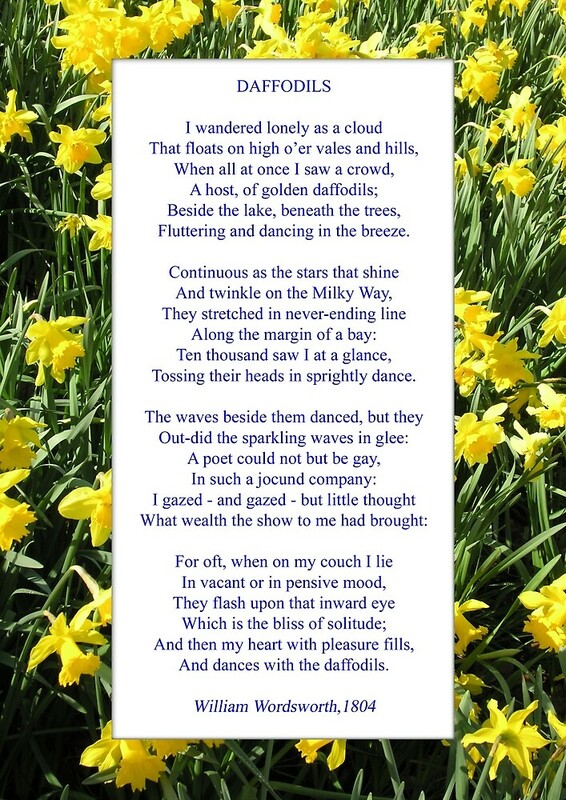 Wordsworth's "Daffodils", especially good as a card. 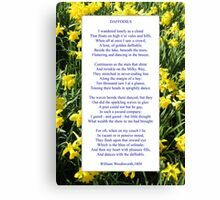 In the spring of 1802 Wordsworth was inspired to write “Daffodils” after a walk along the shore of Ullswater in England’s Lake District with his sister Dorothy. 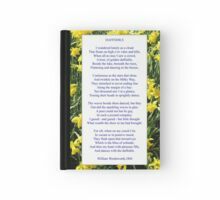 He almost certainly used the account of this walk as recorded in Dorothy’s journal to help prompt his own later recollections. 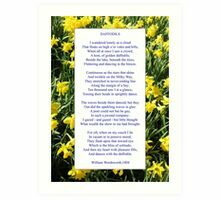 were in fact composed by Dorothy. 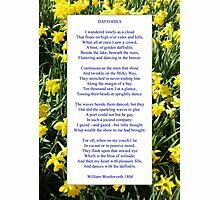 “Daffodils” has three times been voted one of Britain’s top ten poems. 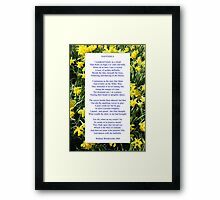 This image’s predecessor was my first attempt to match a poem to a photograph, but that was taken on my first, rather lower resolution digital camera. 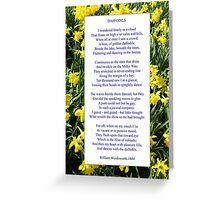 I had to wait a couple of springs before the right opportunity came along for my present camera.